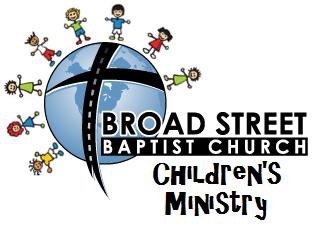 Our Children’s Ministry is for children in Pre-K – 5th Grade. We have some amazing teachers who love engaging our children each week and helping them to understand the truth of God’s Word. We are currently using The Gospel Project curriculum. Our children also meet at 5:00 pm on Sundays. For most of the year, this time is devoted to our Kid’s Choir. All of our children, Pre-K – 5th Grade, make up our Kid’s Choir, and usually perform 1-2 musicals per year where they get to lead our whole congregation in worship. AWANA is an international, Bible-centered children’s ministry providing local churches with weekly clubs and programs for children. 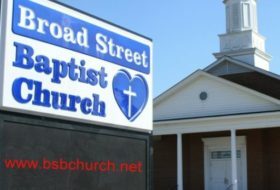 At Broad Street, we include children from ages 4 – 5th grade. Our goal is to reach children and their families, with the gospel of Christ and train them to serve Him. The acronym AWANA comes from the first letters of Approved Workmen Are Not Ashamed, taken from 2 Timothy 2:15. AWANA meets every Wednesday night during the school year from 6:15 PM to 7:45 PM. AWANA balances games with scripture memory and scripture related activities to provide an entertaining, yet instructive 90 minutes for children. To learn more about Awana, visit their website here. If you have any questions, please contact our Associate Pastor of Youth and Children.